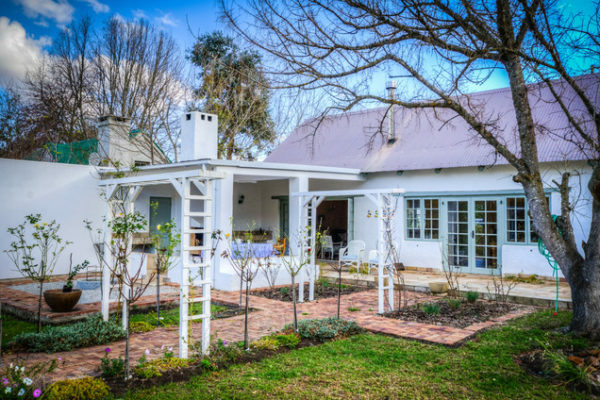 Misty Meadow is a beautifully appointed, upmarket, barn-style cottage, set in a lovely garden, within close walking distance to the center of the village. The house is freshly decorated, with outside entertainment areas, overlook the pool. 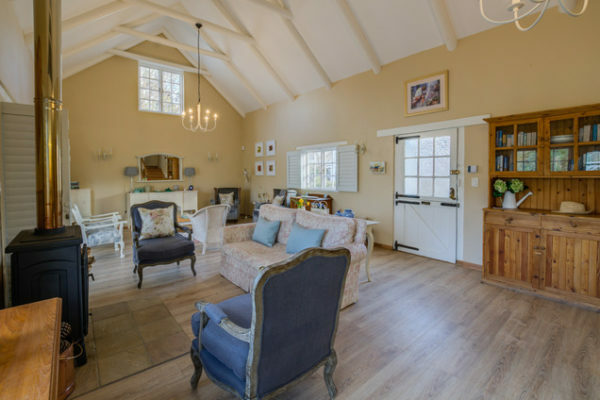 The fully equipped kitchen is open plan with a 8-seater dining table and spacious lounge with a large wood burner fireplace, walking out onto a covered patio with 4 lounge chairs and another 8-seater dining area plus outside fireplace. The braai facilities consist of a weber braai and a small fire pit with grid. 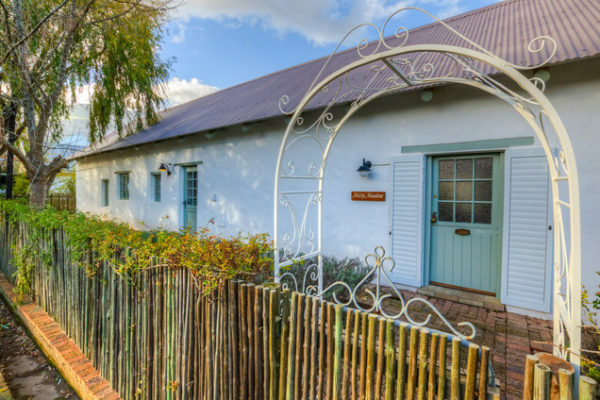 Misty Meadow offers three bedrooms, main bedroom upstairs with queen bed and en-suite bathroom with free standing bath, basin and toilet. 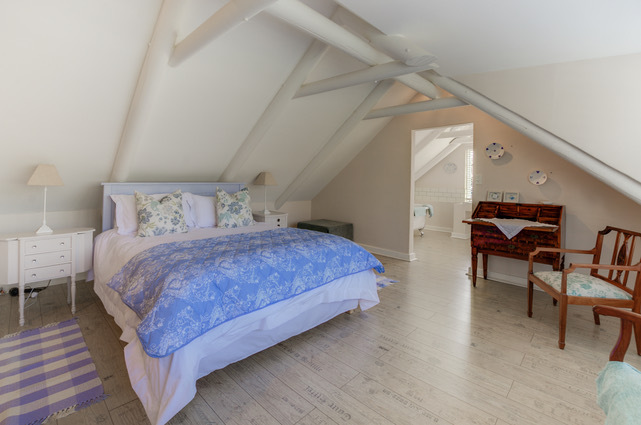 The second and third bedrooms are situated downstairs, (one with private patio) both equipped with 2 single beds, sharing a bathroom with bath, shower over bath and basin. There is a large private outdoor shower and a separate guest toilet. There is a mezzanine landing with two Snooza beds with linen provided, ideal for children. The pool is natural, reed filtered, surrounded by a natural garden. There is parking for one car in the drive-way and 2-3 cars on the verge in front of the house. Alarm plus beams, with response. The house sleeps 6 guests comfortably in three bedrooms, plus two children on Snooza beds. Cotton Percale Linen & bath/hand towels provided. toaster & kettle and Coffee plunger.